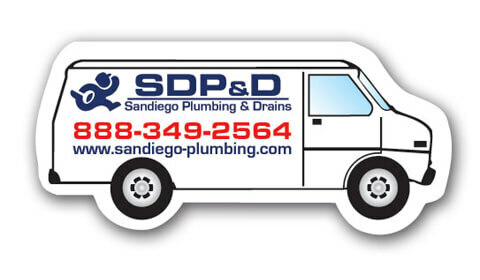 Affordable Drain Cleaning Services & Hydro jetting is offered as well as plumbing services in North County San Diego Ca – Oceanside, Carlsbad, Escondido, San Marcos, Vista. Call today for a fair over the phone quote. We have been in business since 2004 and offer quality services with reasonable rates. Drain Cleaning Is Hydro Jetting But Snaking Is The 1st Option And Usually Solves The Problem By Restoring Flow. However, For Those Stubborn Drains It Is Sometimes Necessary To Hydro Jet Your Drains Clean And Clear And Is Usually Done If There Is A High Amount Of Grease Or Sludge In Your Drain Lines. Hydro Jetting Is True Drain Cleaning. Other Times We May Need To Add Acid. Other Drain Chemicals Could Be Recommended. Most Often We Snake And Add Degreaser And Your Drains Are Good To Go. Sometimes When There Is No Clean-Out Or The Clean-Outs Are Not Accessible. In These Cases, Snaking From The Roof – Down The Vent Stack Is Necessary. It’s Called Vent Stack Snaking And Is Usually Done For Mainlines. However, Kitchen And Laundry Lines Are Snaked This Way Often Enough. All Drain Configurations And Problems Are Different And Require Different Answers To Solve That Particular Problem. There Is No Exact Science Here. For toilet clogs, usually we would auger snake to restore flow. However, if that doesn’t work, you could have further problems down the line needing either a toilet pull and snaking down the toilet hole or closet bend secondary mainline, primary or may need to roof vent stack snake depending on the particular problem. Sometimes…. more than one method is used in order to achieve success. Usually though… we can resolve the issue with 1 try based on our diagnostic skills. Call today to discuss your particular drain issue. We will provide an over-the-phone ballpark-quote on what it should take to do the job.